- Day with the cluster members SPACE THALES in Valence. 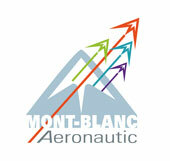 MGB is a member of cluster Aero Rhone Alpes. 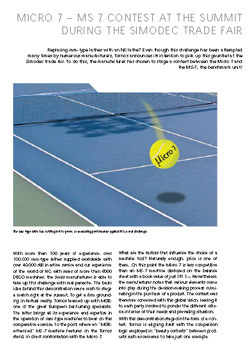 - Press article published on the Dauphine Libere 02 October 2011. 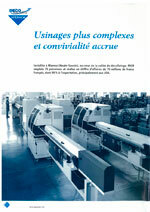 Article published in the journal "Le Décolletage", October 2011. MGB participates weekly business school receiving a grade of Lycée Charles Poncet Cluses to educate young people in the business. Replacing cam-type lathes with an NC lathe? Even though this challenge has been attempted many times by numerous manufacturers, Tornos announces its intention to pick up this gauntlet at the Simodec trade fair. To do this, the manufacturer has chosen to stage a contest between the Micro 7 and the MS-7, the benchmark unit! Tornos teamed up with MGB, one of the great European bar-turning specialists. The latter brings all its experience and expertise in the operation of cam-type machines to bear on this comparative exercise, to the point where an ”MGBenhanced” MS-7 machine features on the Tornos stand, in direct confrontation with the Micro 7. 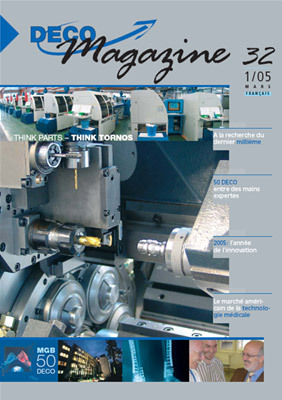 During 2007, MGB, a company based in the Haute Savoie region of France, opened its doors to receive its 100th machine from Tornos. This machine celebrates the truly exemplary collaboration between Mr. Jean-Paul Burnier (recently retired from MGB) and Alain Tappaz (recently retired from Tornos). 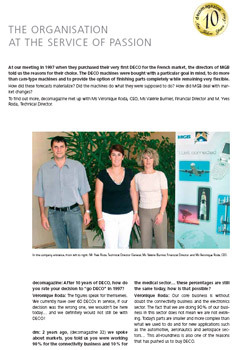 At our meeting in 1997 when they purchased their very first DECO for the RF market, the directors of MGB told us the reasons for their choice. 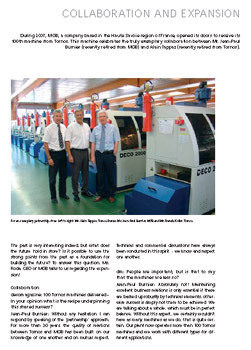 The DECO machines were bought with a particular goal in mind, to do more than cam-type machines and to provide the option of finishing parts completely while remaining very flexible.